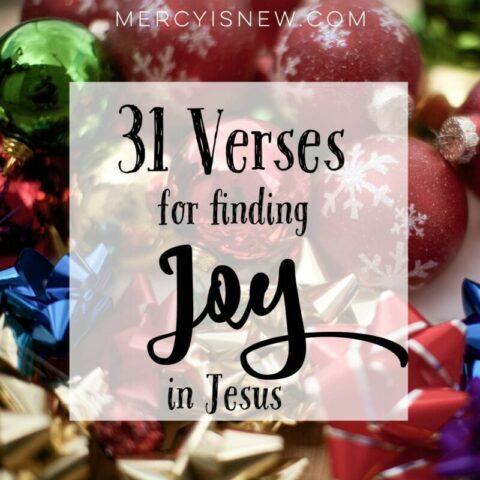 Is Jesus truly our joy? Are we looking in all the wrong places to find joy? Have we learned that true contentment, peace and joy come from nowhere other than Jesus, yet we keep slipping back into old patterns and worldly thoughts and seeking joy in THINGS? 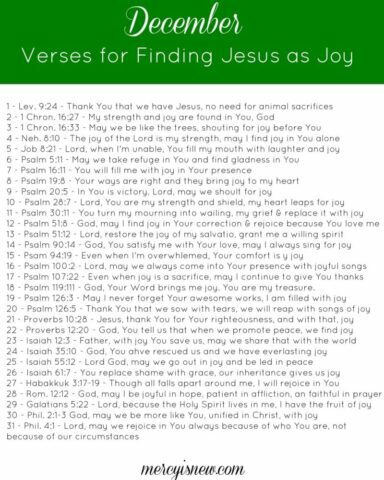 This month, let’s pray these 31 verses to remind our hearts and our minds that Jesus is our only TRUE JOY. 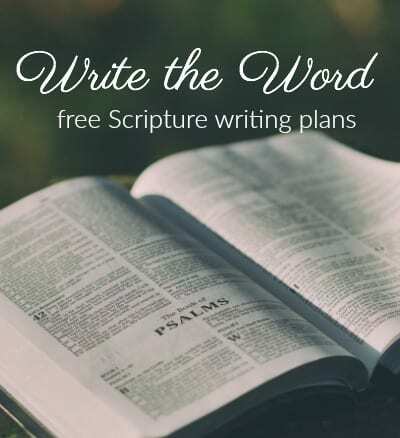 If you would like to have a devotional and journaling pages to go through December, I hope you will take a look at this resource I created just for you! You can purchase and then print it immediately and start this on December 1st. If you would like a print copy, head over to Amazon. Each day we will read 1 verse that discusses JESUS as LIGHT and how He combats the darkness in our lives. 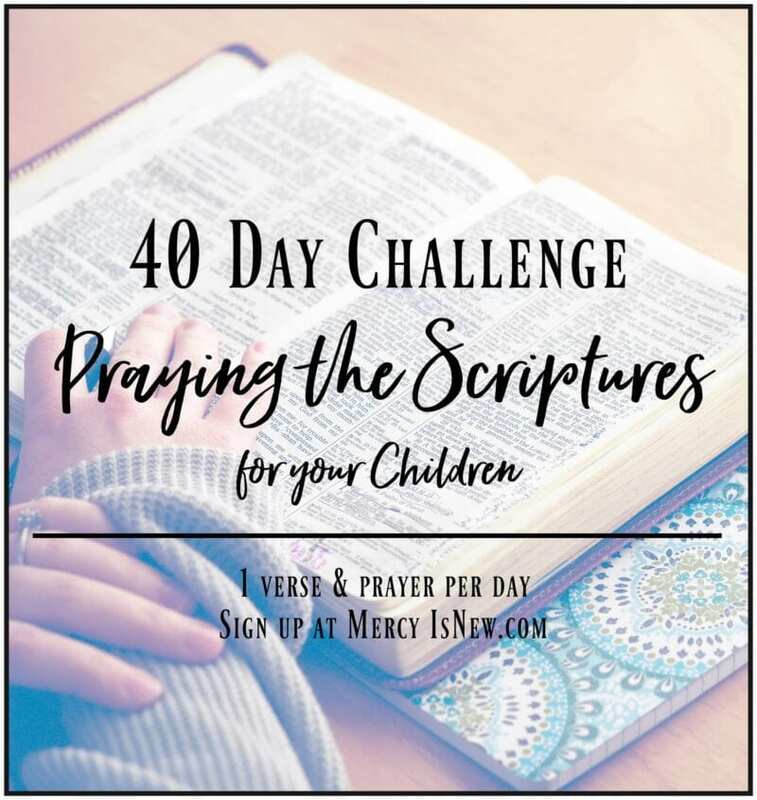 I also have some resources included if you wish to have your children join in! 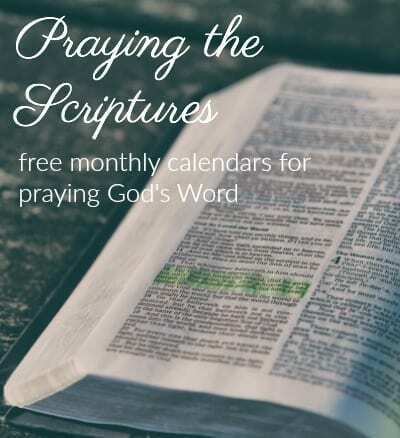 Find every month of Scripture prayers here!